Houthi drones attacked a Yemeni government military parade in Lahaj province, killing several people, Saudi and Houthi media reported. 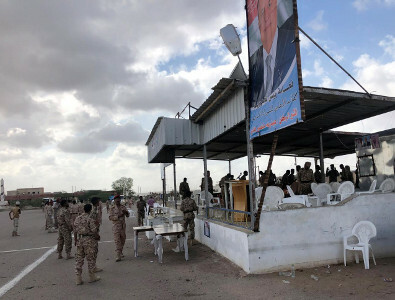 The parade inside a military base in al-Anad district where a loud explosion rocked the area, eyewitnesses said, adding high-ranked officials including Yemen’s deputy chief of staff were wounded in the attack. A military source said the attack targeted the podium where officials were. Iranian-aligned Houthis and the Saudi-backed government agreed to a ceasefire in the port city Hodeidah and to withdraw forces at peace talks in Sweden in December following months of diplomacy and Western pressure to end the nearly four-year-old war. Implementation stalled as the agreement did not spell out who would control Hodeidah after the troop withdrawal.